REMINDER: Registration for the spring session closes January 5, 2018. 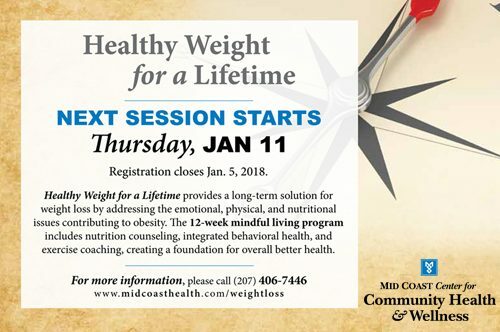 The next session starts Thursday, January 11. For more information, please call (207) 406-7446.